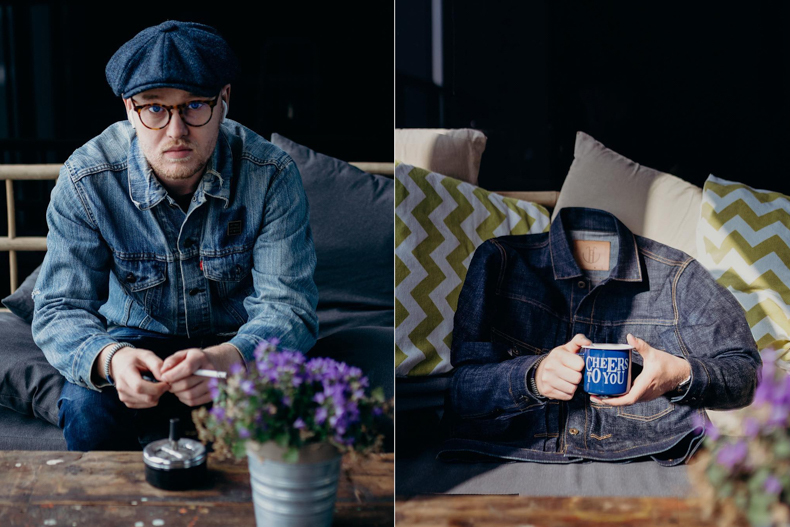 Let’s delve into the weird and wacky world of Photographer, Koen Kuik where ghosts wear raw denim and it rains Red Wings. 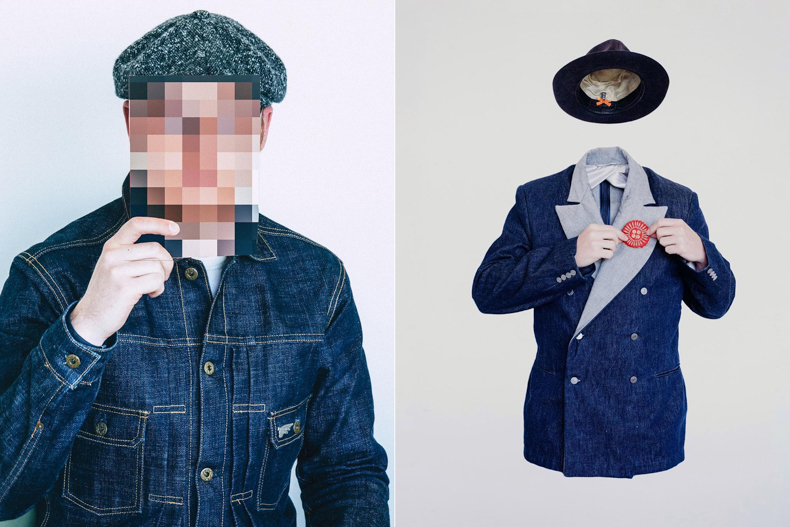 If you are into raw denim and at all active on Instagram then it is a good bet that you have come across the work of Dutch photographer Koen Kuik. 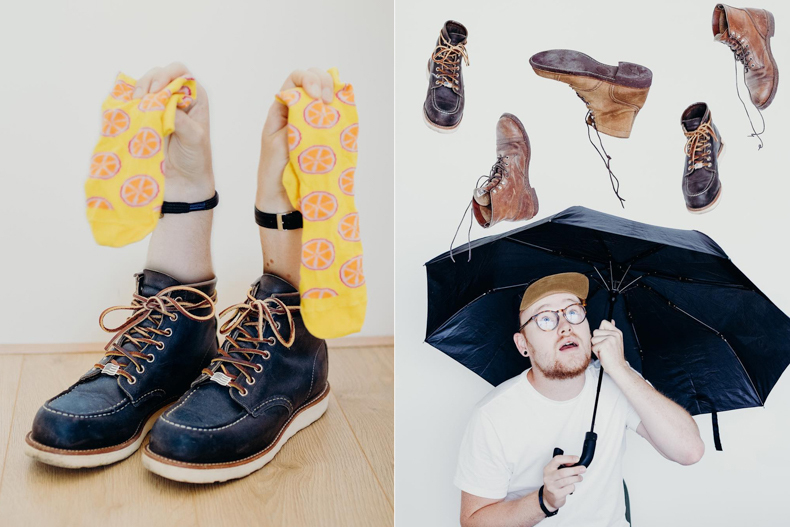 Whether it is raining Red Wings or capturing Casper (the friendly ghost) in raw denims, there is no doubt that Koen’s work is both unique and damn good fun! 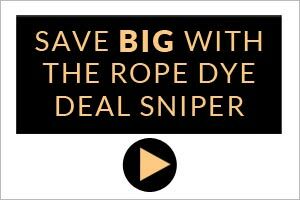 Rope Dye reached out to Koen to find out where his love for denim comes from and where he finds inspiration for his wacky pics. My name is Koen Kuik, I’m the founder of the Dutch denim blog Blue Roots Official a freelance photographer and also works part-time in health care to finance it all! 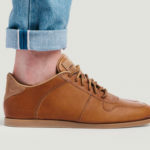 How did you get started taking photographs of denim? Your work has a playful, unique style, where do you get your ideas from? I’m mostly looking around on Instagram. There I find arty posts or other great posts which I recreate or gives me new ideas. Or I find an object that I use in my posts to helps me be creative by finding a way to implement it in my photos. Does your work only revolve around denim or do you shoot other subject matters? I also like to post about style and well-crafted products. But the main thing is denim. And when it’s completely different I’ll make a different account. For example; I took photos from buildings in Amsterdam and I made @crownofadam. Something totally different but also about craftsmanship and appreciating what’s around you more. I’ve had a small business in handmade wooden bow ties. I made those and sold custom bow ties. A customer asked if he could get the selvedge part on his bow tie. So we made that for him but I wondered why it was so special. The costumer worked in a clothing shop in my area and we started talking about denim and stuff. That’s how I got into denim. I guess it has to do with the craftsmanship. I just like when a product is well made. And for today most jeans are fabricated on a big projectile looms and made for fast fashion. I just want to see something is made with passion and with a good thought about details. 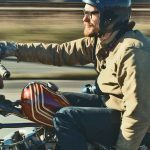 Yes, it was a Levi’s 511. Way too slim for me and a bit too small but it had selvedge! I was so proud. But it after a few weeks I gave them to my roommate. The next denim was a Levi’s Vintage Clothing 501 1954 (still my favourite jeans). Details, I just love the small details in jeans. And of course the fading process. No, not really. Just the basics I think. I buy a pair of denim jeans and start wearing them for as long as possible. When they get dirty or smelly I wash them. Mostly around the 100-150 days mark. So it’s nothing really special. Yeah, Levi’s city shirts! I try to get a shirt in every city I’ve visited as a souvenir. I have no clue. I guess it’s around 20 or 30 pairs. Way too much I guess. I need to sell a few pairs so I can get new ones! Oh, that’s a difficult question. I’m not really proud at any jeans I own really. But I can enjoy the moment when a jeans or jacket starts fading. The first glimpse is the best. Is there another photographer that inspires you? I do like @hansjellema for his stylish photos. But there’s a lot of good content on Instagram lately. The content is getting more professional and better. Love to see that. As mentioned, Koen also has an architectural project which can be found here which is really worth checking out!